Just for the reference: Here's a link to the eu regulation 2000/196/ec, dated 22nd February 2000. See also the announcement of a mailing list for friends of stevia on google groups. For those who wish to exchange ideas and experiences about stevia with similarly inclined there is now an english spoken mailing list on google groups. See also the list of stevia related communities on Orkut. 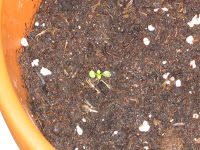 SteviaRebaudiana.com is an information source on stevia, its history, legal situation and more. Well worth a visit. 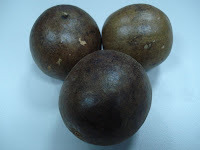 Wikipedia knows the lo han guo fruit mentioned earlier by its botanical name Siraitia grosvenorii (syn. Momordica grosvenorii and Thladiantha grosvenorii), and the chinese entry even sports a photo of the fruit. A new laboratory method for isolating the glycosides stevioside and rebaudiosides A and C from leaves of Stevia rebaudiana was proposed. 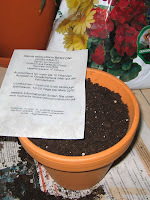 According to HPLC, the glycoside contents in plants grown in Russia (Voronezh Oblast’) and Ukraine (Crimea) were 5–6% (stevioside) and 0.3–1.3% (rebaudiosides A and C). “Coca-Cola's announcement has sparked a giant interest,” said Nelson Gonzalez, head of the stevia chamber of commerce, a trade group of producers under the aegis of Paraguay's ministry of industry. Stevia info claims to be a non-profit project dedicated to providing accurate and credible information about stevia, the all-natural, zero-calorie sweetener. Cargill and The Coca-Cola Company established a global development partnership to transform stevia into a natural way to sweeten foods and beverages with zero calories. The result of this partnership is rebiana (cache). The European Stevia Association, eustas, is a non-profit organisation whose main aims are the promotion and coordination of all activities focussing on research and health in relation to Stevia rebaudiana and related compounds, to show that they are safe for the human consumption and to place a new application for Stevia rebaudiana as a sweetener against the Scientific Committee on Food of the European Commission.